Not many sides in the Premier League will fancy facing Manchester City on the form they are on and rightly so. Pep Guardiola has built a well-greased machine at the Emirates stadium that sets off on journeys across England with a mission to destroy. 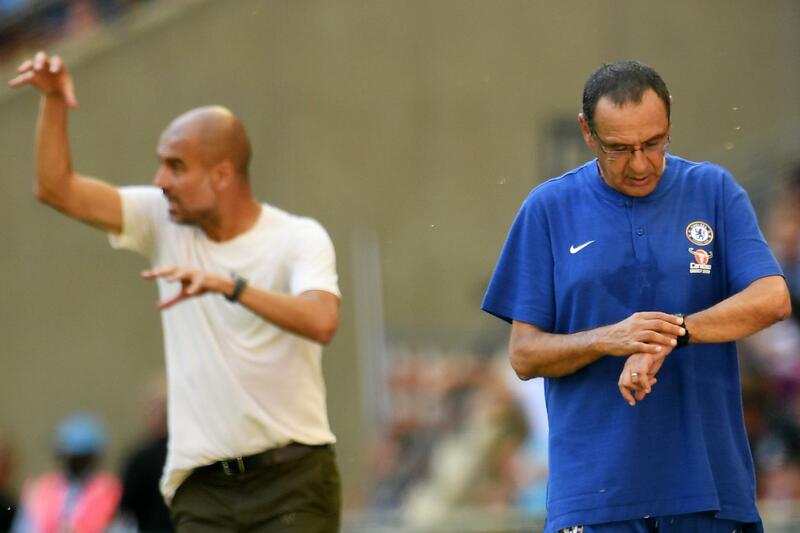 The next stop for the Citizens is Stamford Bridge and there suddenly is more reason for Maurizio Sarri to fear his Chelsea side may begin to fail in their quest for a top-four place. After losing two consecutive away games, the last thing Sarri and his stars will wish for is facing the most in-form team in the top flight. Man City are unbeaten this season, drawing two of their 15 games played and winning 13. On the other hand, they will fancy playing Chelsea this weekend based on the Blues’ current form. On a personal note, it gets even scarier for Chelsea. Their head coach has not won a single game against Guardiola following three losses out of three games as per Football FanCast on Twitter.